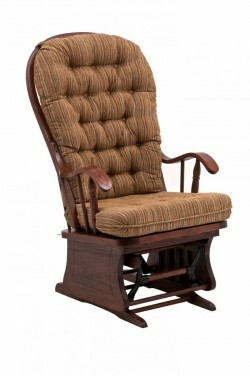 There is nothing more relaxing than the quiet motion of a gliding rocking chair after a long day. 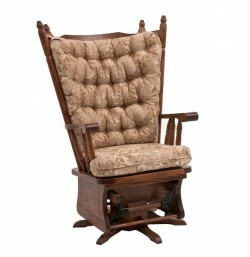 And whether you are using the soothing cadence to lull a baby to sleep in a nursery or simply to quiet your busy mind, a glider can be a peaceful, functional addition for seating in your home. 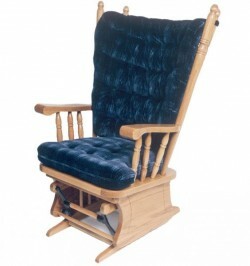 Every glider at Amish Originals can be customized to suit your décor; selections of upholstery, stain color, and style are readily available; our gliders can be designed as single seats or as loveseats, and can also include matching ottomans and swivel bases. 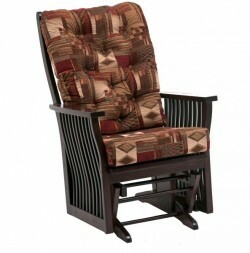 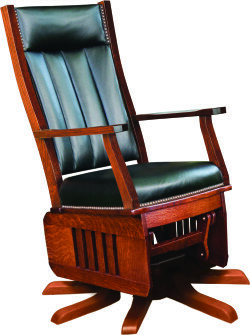 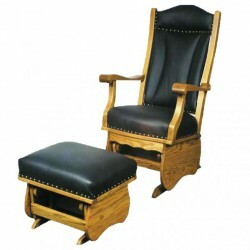 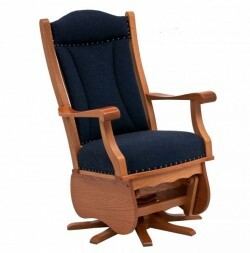 The glider rocking chairs at Amish Originals are all made-to-order, allowing each customer the unique opportunity to enjoy a custom piece of furniture for their home. 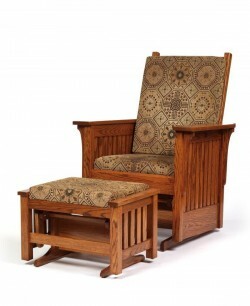 Solid construction and attention to detail are hallmarks of the fine building practices used by our Amish craftsmen; built with 100% solid American hardwood like Red Oak, Maple, Cherry and Quarter Sawn White Oak, gliders from Amish Originals will be both sturdy and beautiful for generations. 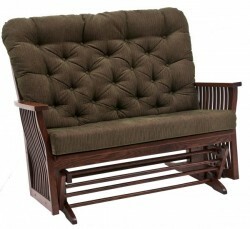 Call today or visit our two-story showroom in Westerville, Ohio’s historic Uptown shopping district. 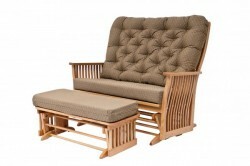 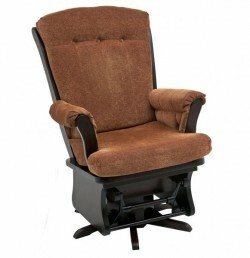 One of our experienced sales associates can help you select a glider that will function as beautifully as it looks.